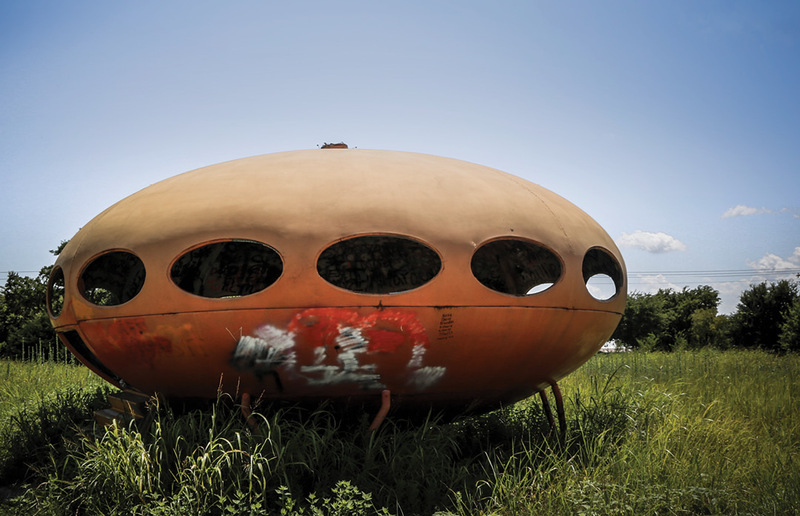 Just off Highway 276 in Royse City, TX, sits a bright orange UFO with a surprising design history. The structure is a relic from a short-lived architectural project of the late 1960s that took off in Finland and quickly spread across the world. Despite its futuristic form, the house was designed by Finnish architect Matti Suuronen with functionality primarily in mind. The structure was made of prefabricated fiberglass panels that were bolted together quickly and could be assembled almost anywhere. It was called the Futuro House. This versatile home was initially intended to function as a ski chalet that could be assembled in difficult terrain and would be fast to construct and efficient to heat due to its round form. Moreover, the design was reflective of an optimistic post-war era, intended for a future-thinking population immersed in space travel, the growing influence of technology, and a newfound desire to live designed lives. Unexpectedly, the unique design garnered a global following, especially in regions with hostile climates and terrain, and the houses quickly spread around the world. The project was ultimately too forward-thinking for its own good, despite its widespread fan base. The concept faced growing public resistance for its “unnatural” form and was subsequently banned from many cities. Fewer than 100 of these homes were built before the project was decommissioned in the early 1970s. Today, it is estimated only about 50 of these remain. What was once considered a revolutionary movement is now mostly looked back on as a short-lived fashion in architectural history. Of the original homes, at least three wound up in Texas, all of which are remarkably still existing. Aside from the Royse City home (the only one that is publicly accessible in the state), there is a colorfully painted version in Rockwall that was renovated into a teenage crash pad behind a rural home, and a pristine white version outside of Austin, outfitted for “glamping” (glamorous camping) on a 385-acre Hill Country ranch. 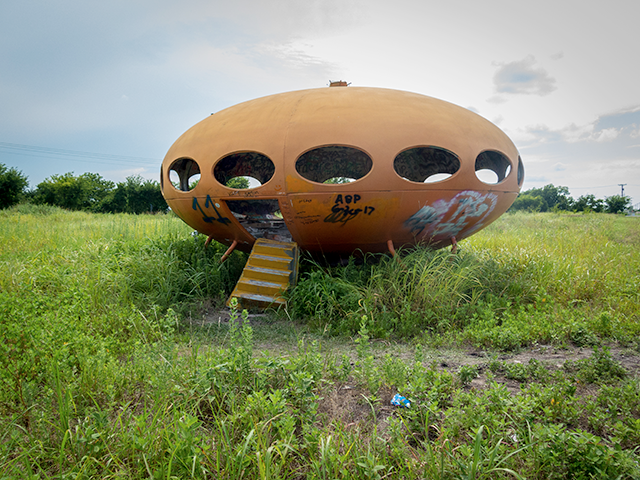 Currently, the Austin property is conveniently for sale for a cool $7.2 million, perhaps a somewhat challenging asking price for most aspiring Futuro House owners. 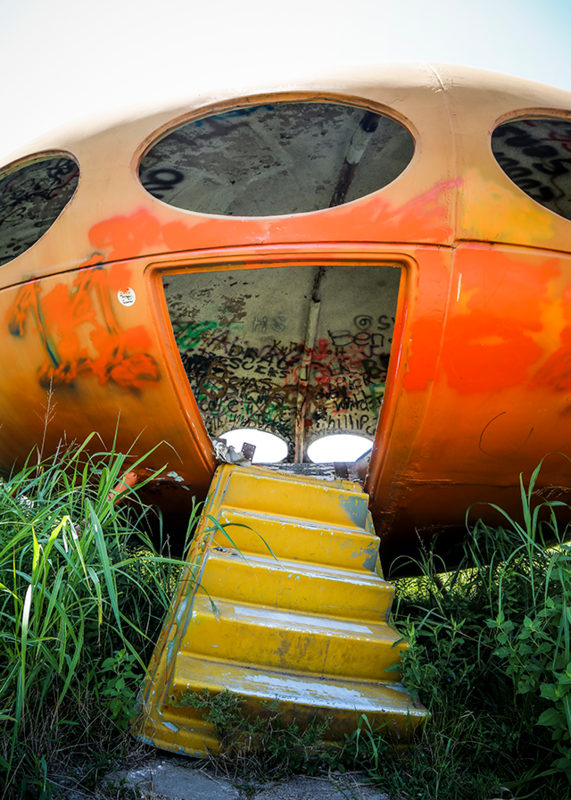 The history of the Royse City Futuro House is somewhat murky. How it got to its current location is unknown, although many people claim it made its way over from Garland, Texas. After serving as an office and bachelor pad, it was eventually sold to an investor who intended to make it a restaurant. As those plans never materialized, the structure slowly fell into disrepair. 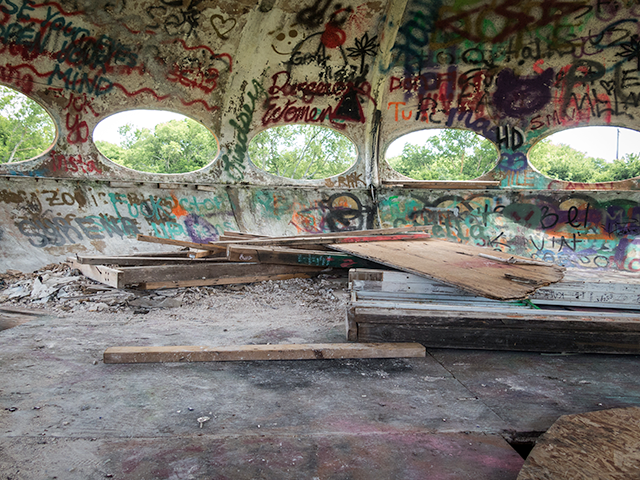 In its current dilapidated state, this Futuro House has found a new purpose as an informal space for community art. 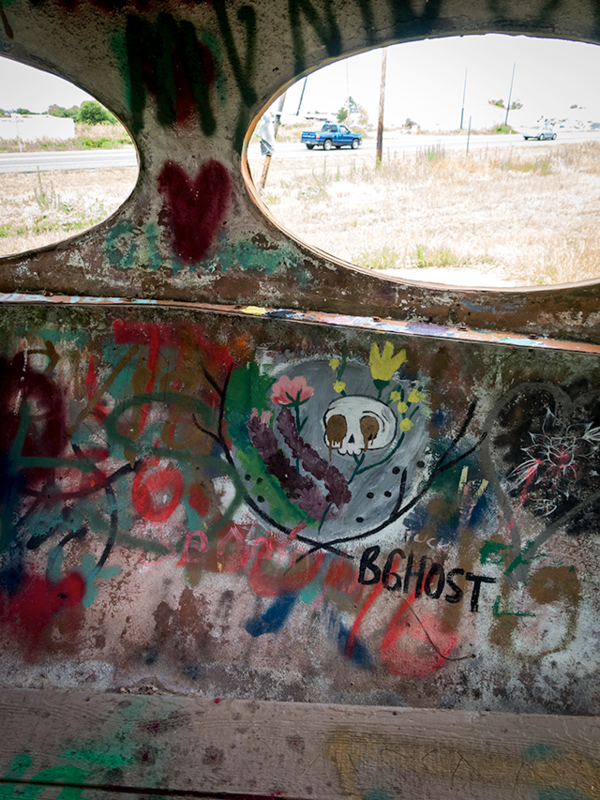 Like Cadillac Ranch outside of Amarillo or Graffiti Park in Austin, it provides a unique canvas for personal expression. Over the years, the structure has been incorporated into various art projects—from local film and photo shoots to music videos and art installations. While not its intended use, this latest reincarnation of this Futuro House has extended the lifespan of this architectural relic, continuing to intrigue and inspire its visitors. 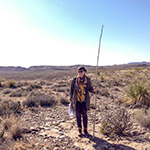 Mia Ovcina, AIA is an architect with DSGN Associates.